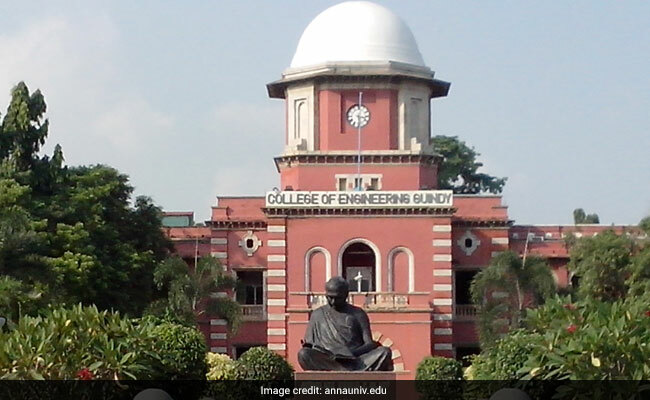 Anna University, Chennai announced new dates for the exams it postponed due the rains on November 3. New Delhi: Anna University, Chennai announced new dates for the exams it postponed due the rains on November 3. According to the dates announced by Anna University, the all the re-scheduled exams will be conducted on November 11, 2017. The Hindu reported that the Schools will remain closed in Chennai, Kanchipuram, Thiruvallur, Vellore, Tiruvannamalai, Cuddalore, Nagapattinam and Tiruvarur districts on Monday. Due to heavy rain in the Tamil Nadu capital, Chennai based Anna University and University of Madras announced cancellation of their semester exams which were scheduled to be conducted on November 3. Normal life was crippled in Chennai and its suburbs on Friday as rains pounded the city for several hours from Thursday evening, resulting in 30cm of showers in some eight hours and flooding several localities. Ethiraj College for Women, Loyola College and Tamil Nadu Dr Ambedkar Law University had also postponed exams which were scheduled on November 3. On yesterday, bringing respite to the people of Chennai and neighbouring districts, sun came out for the second day and raised the hopes of stagnant water receding, reported The Hindu. It also reported the heavy rain at isolated places is very likely over Tamil Nadu and Puducherry on Monday. Meanwhile, Prime Minister Narendra Modi who is on a visit to the state today assured all assistance to rain-ravaged Tamil Nadu in tackling the fallout of the heavy downpour in the capital and some districts, including Kancheepuram and Tiruvallur. Press Trust of India reported that Puducherry continued to be lashed by heavy rains with government authorities declaring holiday for all schools in the region today. The Union Territory recorded 10.2 cm rainfall ending 8.30 AM, an official source told PTI.